The look says it all – I am one of the most beautiful creatures in the world and also one of the most dangerous, so don’t even think about messing with me. We were on the road between Skukuza, where we had spent two nights, and Phabeni gate which exits near the town of Hazyview. After a week’s stay in Kruger, which had met all our expectations of interesting sightings and perfect relaxation, we were in “wind-down” mode and already thinking about the coming week’s commitments as we drove at regulation speed towards the gate and back to normal life. Approaching a slow bend in the road we spotted a sizeable animal in the road and my first thought was “what’s that large dog doing in the road?” Clearly my mind was already back in suburban mode – then I remembered where we were and my heart leapt at what it might be and I may have even let an expletive slip out…..
We slowed and stopped a reasonable distance from the Leopard, just as it started to walk across the road and slowly head off into the veld and further until he was behind the rows of bushes and no longer visible. 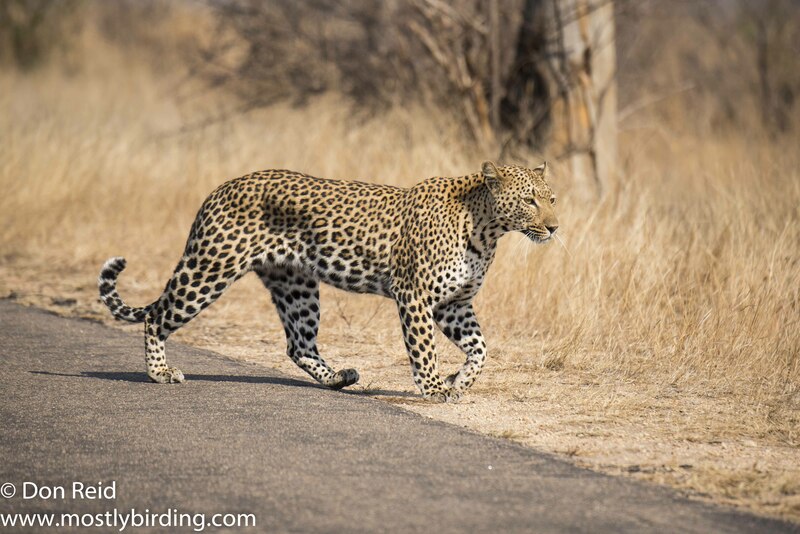 He was grunting grumpily as he walked off and gave us the briefest of glances as we revelled in this special sighting, shared with just one other vehicle that had been close behind us for a few kms. What a nice way to end a memorable stay in Kruger! That’s what we said at the time! I thoroughly enjoy your posts. Loved the leopard! Thanks! 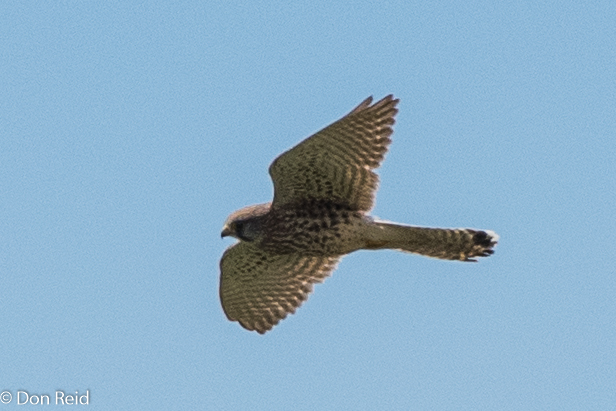 I send out my own Queensland version of something similar – mostly just birds though. If you might enjoy receiving copies – they are about as frequent/infrequent as yours – please just drop me a note and it will be my pleasure to send you a sample, and to add you to my mailing list if you think you might enjoy it. My website is at http://www.abberton.org – I only update it every year or so, but mostly send out postings in between updates. Kruger always has something special up the sleeve, right until the last minute! You are so right – and that’s part of the reason we are already looking forward to the next time! Oh and big congrats on your recent 1000th post – quite an achievement! Kruger should come with an addiction warning… I’ve been hooked since I was 4. What an exciting sighting!!! 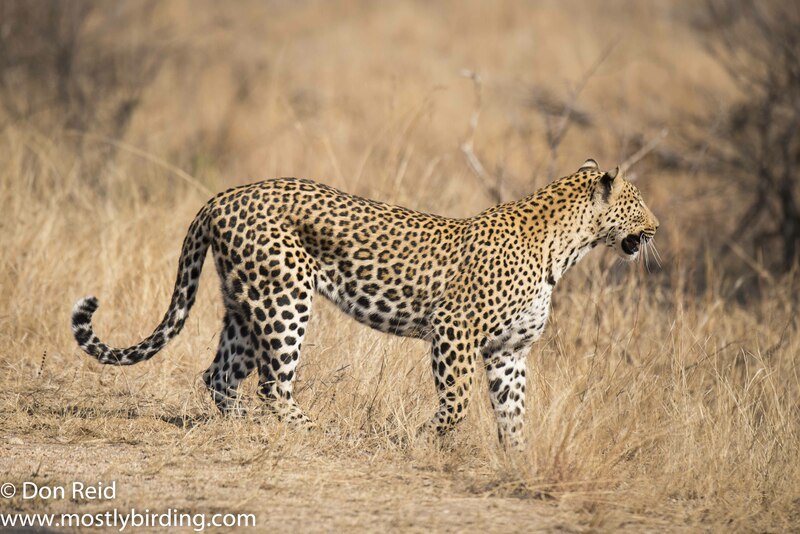 Years ago, whilst in the Kruger, I said to my friend – back up, we just passed a leopard. He said that it was probably just a rock, but I insisted and, sure enough, a beautiful leopard was strolling along. 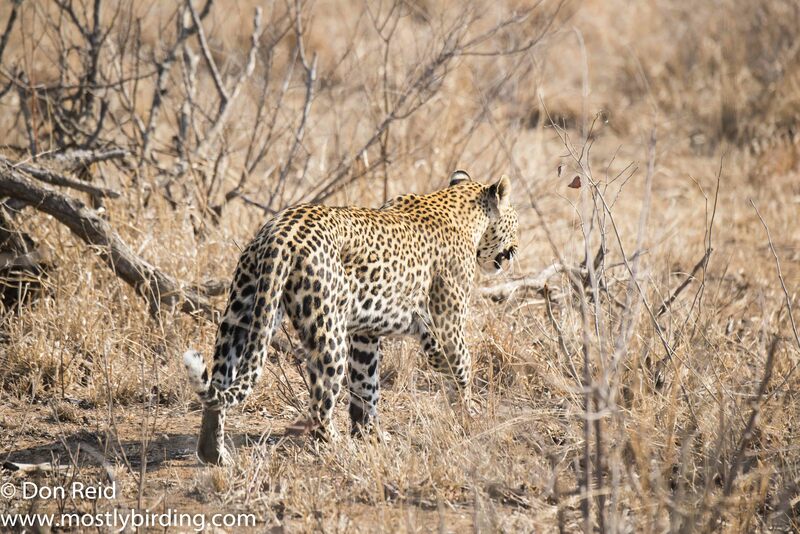 That night, he boasted to his fellow rangers about how I had spotted a leopard!!!!!!! What a beauty! The wildest of all creatures in my opinion!